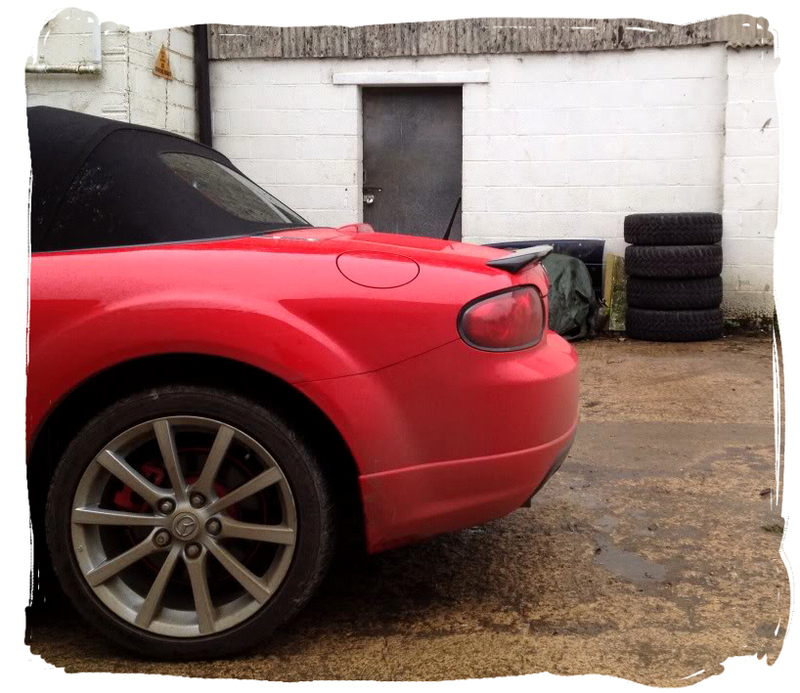 Rik's car is a 2.0 Sport finished in True Red and features some nice aftermarket parts from Japan. The front of the car is fitted with the appearance package front lip spoiler, with an additional piece of 3M Dinoc vinyl trim to the centre for a contrasting look. 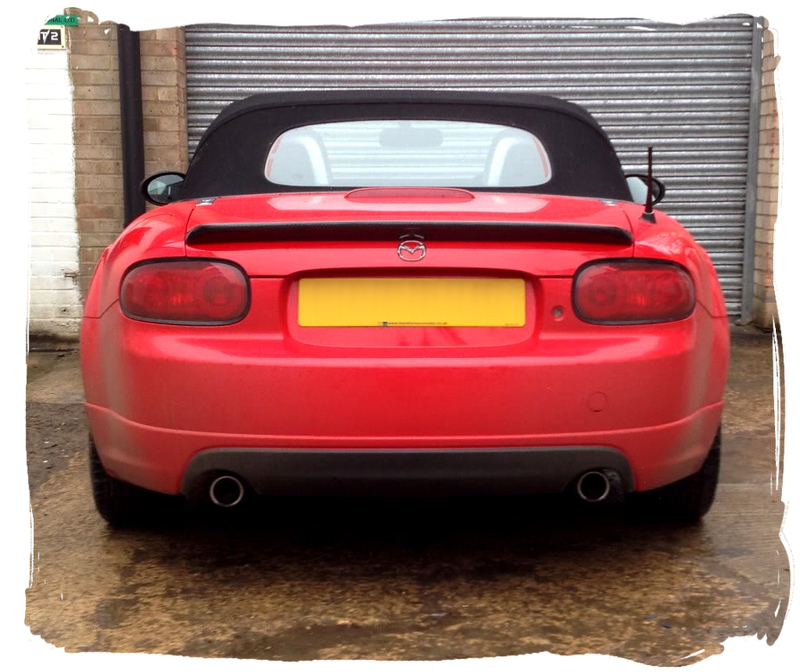 The number plate mounting was swapped for a Japanese type and fitted with an import style number plate which has a squarer shape than a standard UK plate. 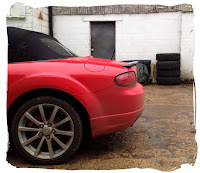 The appearance package sideskirts were fitted and the stock plastic side repeaters were changed for stainless steel Zoom Engineering lights. 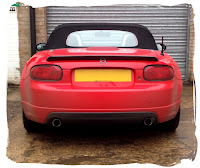 The rear of car has been debadged for a clean look, the radio antenna was changed to a shorter type from a Honda S2000, and the rear lights were covered in red Lamin-X tint film. The rear appearance lower bumper lip and an imported Au-To Bahn Sports carbon rear spoiler finish off the rear end nicely. 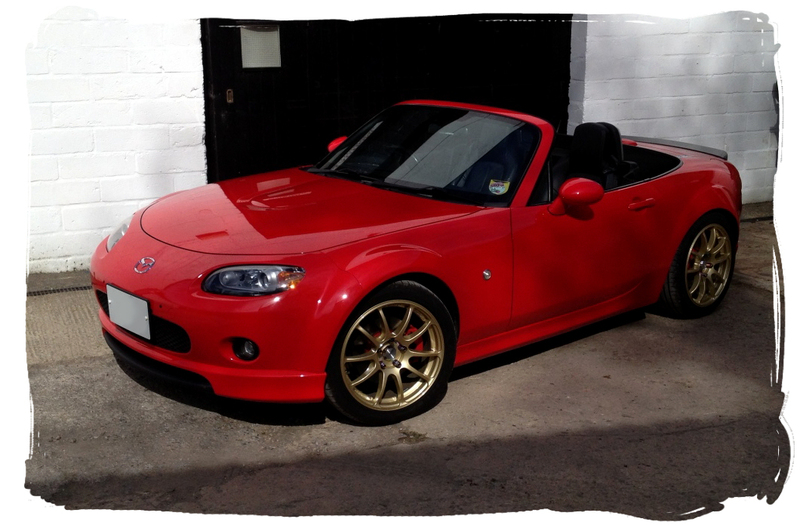 Mazdaspeed interior trim, Mazdaspeed front tower brace, AEM induction kit and a set of 17" Advan RSII wheels finished in gold complete the car.